Campbells Fertilisers Australasia is the leading force for the distribution and sales of imported horticultural specialty fertilisers in the Southern Hemisphere. Our objective is to provide our customers and distribution partners with the highest quality crop nutrition products and services allowing world class production and marketability of horticultural goods. Campbells Fertilisers Australasia is a wholly Australian company with a national focus across Australia and also New Zealand. Our heritage is based upon the Muir family’s expertise as leaders in horticulture in the Australasian market. The company’s founder, Max Muir, installed a vision for the importation of specialty fertilisers that goes back more than 60 years. 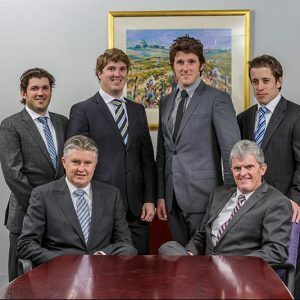 This now continues with Ric and Ian Muir along with their sons Andrew, Stuart, James and Cameron, consolidated by a management team providing exceptional service to Campbells distribution partners and Customers. Campbells Fertilisers provides the best vehicle for specialty fertiliser producers of the world that need to position their range of products into the Australian Horticultural market. It also has a history of ongoing consistent results in the areas of higher yields, higher quality and ultimately higher returns at all levels through the value chain. Campbells’ agronomists have created the highest set of standards in the production of tailor made soil reports and programmes to meet the customer’s needs. Our agronomists have set the benchmark for the industry in the areas of soil, leaf, sap and tissue testing and will continue to explore more effective monitoring tools into the future. Campbells is constantly looking to identify new speciality products from overseas sources that provide the correct fit for Australia’s vast range of soil types and agricultural crops. We now have in excess of 100 products in our range. These include compound fertilisers for dry spreading, Nitrates for dry spreading and fertigation and a full range of foliar products. We are also at the cutting edge in developing trace element and micronutrient technology for the Australasian Horticultural market. Field trials are conducted on an ongoing basis to identify and monitor the performance of new product technologies from overseas at the cutting edge in developing trace element, biostimulant and micronutrient technology for the Australasian Horticultural market. Campbells fertilisers advocates a balanced approach to fertiliser application, from dry spreading to the latest fertigation techniques. We advocate an application regime of feeding horticultural crops with a low dosage rate on a continuous basis during the crop’s growing stages, with consistent crop and soil monitoring. Depending on the crop and soil type, different forms of application may suit different stages of growth and can be determined by our large team of specialist agronomic nutritionalists.